My daughter and I had a wonderful time exploring the temples of Angkor Wat last June. 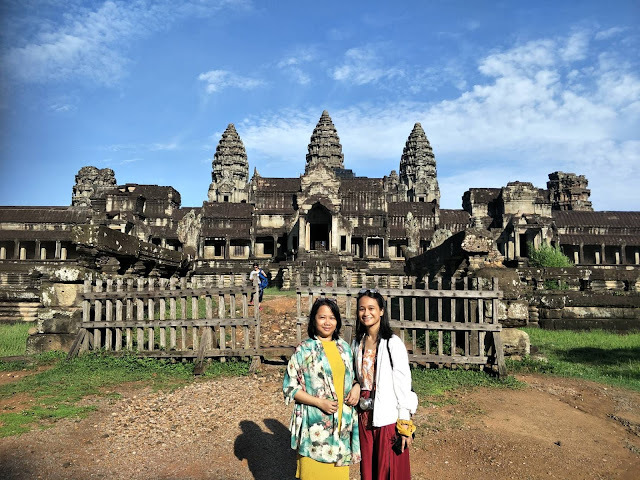 Actually, this is my second time to visit Cambodia and I am still smitten by the grandeur of the ancient city and luckily, my daughter felt the same way about Angkor Wat also that we're planning another trip in the not so distant future. 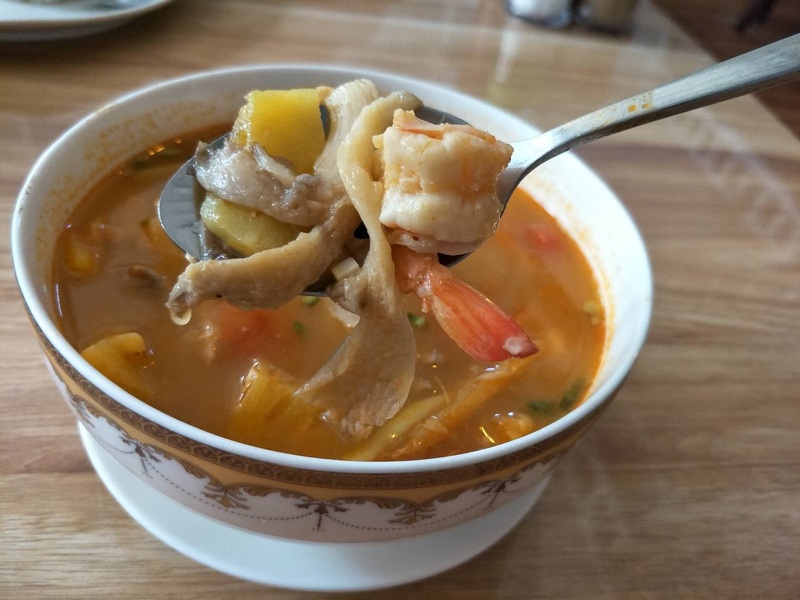 There are so many temples to visit in the Angkor Wat temple complex as well as other activities, visiting the museum, going on a food trip, and of course, shopping. 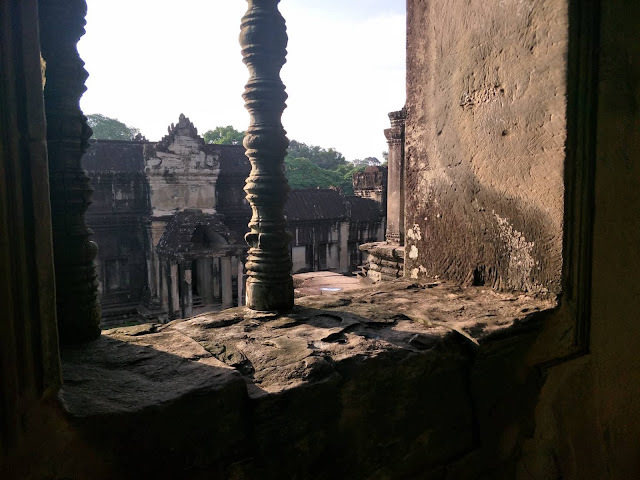 Siem Reap is an inexpensive place although you may have to shell out $42 for a 1-day temple pass or $62 for 3-day temple pass, and $72 for 5-day temple pass but that's it. I mean, the food ranges from $1-5, more if you happen to dine a a fancier restaurant but it is still cheap. Then the tuk-tuks costs $1-2 around the city and $15 for the temple tour or you can rent a bicycle for $2-3 for whole day use. The hotels there are also very reasonably priced. The hotel where we stayed at costs about $50 for 5-night stay. That's another budget find since I booked via Booking(dot)com. By the way, this is a budget trip and we got lucky to get a promo fare from Cebu Pacific Airlines- Siem Reap to Manila that costs only P3,572.18 for 2 pax already. I was able to get that return promo fare last November 2017. And even if I paid for the flight 7 months prior to the trip (June 3, 2018), paying for P1,786.09/pax is definitely worth the long wait. 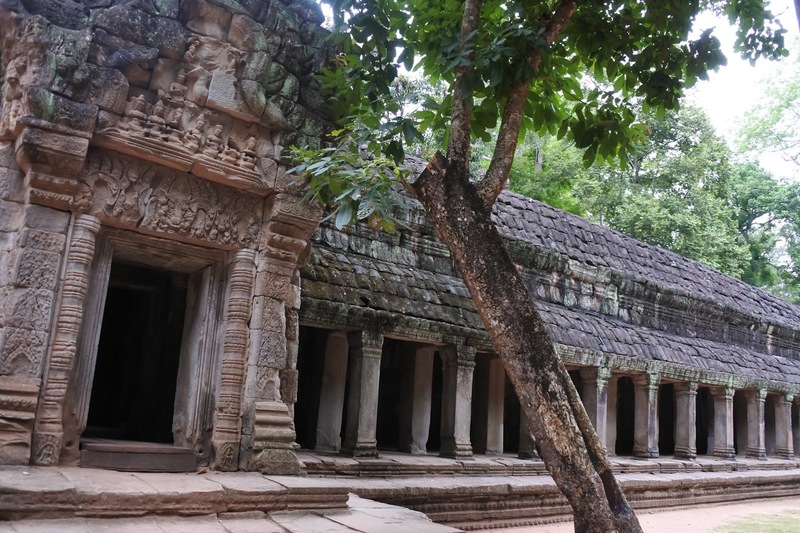 Regular airfare to Siem Reap via Cebu Pacific ranges from P5-6k for a one-way trip. And if you're not going shopping, the 7kg hand carry baggage allowance will suffice. However, I didn't expect that the T Galleria by DFS, Angkor is on sale so there goes the money I saved to buy the promo airfare. ;) And it is very easy to get additional baggage check-in allowance which you can do at least 12 hours (to be safe) before your scheduled flight. You can choose from 15kg, 20kg, 32kg, or 40kg. Having your bags checked-in is also very convenient since after dropping off your bag/s at the counter, you can still go around the DFS shop in the airport and of course, no need to line up early during boarding time because you want to make sure that you can place your luggage on the overhead bin near your seat. Altogether, it was really a great trip from a low cost airline. We've been riding Cebu Pacific since 2006 and I can really say that because of them, I (as well as my family and friends) have discovered our passion for traveling. Cheers to Cebu Pacific!